The time has come where we all make promises to ourselves that we’ll be better, harder, faster, and stronger by the end of the next 365 days. Twelve months is a long time, though, and it can be easy to lose steam over such a long period. What can you do about it? Our approach: break the year down into months and dedicate each month to a particular change. This method lets you internalize one change at a time before moving onto the next one. Frontloading all of your resolutions together is just a recipe for being overwhelmed. A common resolution for most working people is to be more productive. In this article, we’ll explore twelve bad habits that you can change — one per month — to drastically improve your workload productivity. If you do it right, by the end of the year you’ll be doing more work in less time! Common knowledge says that the human body needs 8 hours of sleep to get a good rest during the night. The truth is that each person is different — some people do need 8 hours, but others may only need 6 or 10 hours. You probably know how much sleep your own body needs — the trick is to make sure you get it. People tend to stay up until they feel sleepy, then go to sleep. The “proper way” to sleep is recognize how much sleep you need, then go to bed for that many hours before you need to wake up. Don’t underestimate the power of a good night’s rest. You’ll feel better and your mind will be sharper. Solution: Go to sleep before you feel tired. Adhere to a regular sleep schedule and stick to it no matter how badly you may want to deviate. SleepyTime is great for finding the right time to fall asleep and wake up to maximize your rest. There are also apps to help you sleep better Can An App Really Help You Sleep Better? Can An App Really Help You Sleep Better? I've always been a bit of a sleep experimenter, having for much of my life kept a meticulous dream diary and studied as much as I could about sleeping in the process. There are a... Read More . TrackThisForMe Trackthisforme: An Android App For Keeping Tabs On Your Sleep, Exercise, And Other Important Numbers Trackthisforme: An Android App For Keeping Tabs On Your Sleep, Exercise, And Other Important Numbers How many hours did you sleep last night? And the same day a week ago? Read More is good for tracking and visualizing your sleep — the results may surprise you. Solution: Ever heard of the Pomodoro Technique Cut Through Procrastination With These Pomodoro Technique Apps & Software Cut Through Procrastination With These Pomodoro Technique Apps & Software Procrastination is a malady that pervades students and workers in all corners of the world and it infects amateurs and professionals alike. As a writer, I suffer from procrastination on a daily basis. Some people... Read More ? Essentially, you divide the work day into 30-minute chunks: 25 minutes of work followed by 5 minutes of break. You can personalize it to your own needs (e.g. 45 minutes of work and 15 minutes of break). The point is that you’ll be more productive working in short bursts than long crawls. How much time do you waste trying to decide what you’re going to tackle next? For a lot of folks, deciding what to do can actually take up a good chunk of the day — especially true for those who are more on the indecisive side. Without a clear roadmap of what the day entails, productivity drops through the ground. Solution: Take notes and take lots of them. Evernote is fantastic for this since it handles notes, to-do lists, syncing across desktop and smartphones, and more. Whenever a new task pops into mind, immediately jot it down in your notes so you don’t forget it. For optimal to-do list productivity, make your list of tasks for tomorrow at the end of today — that way, you can hop right into tomorrow when morning comes without wasting any time. Solution: Keep your work life and personal life separated when you leave the office and take time to pamper yourself for at least an hour every night. Watch Netflix 5 Tools To Super-Power Your Netflix Viewing Experience 5 Tools To Super-Power Your Netflix Viewing Experience I have to admit that I am a huge Netflix fan. I mean, I like Hulu and Amazon for my instant movies as well, but there's something about the convenience of streaming Netflix quickly and... Read More , play some Android games, or pick up a new hobby Learn Today & Earn Tomorrow: 8 Hobbies the Web Can Help You Start for Fun Learn Today & Earn Tomorrow: 8 Hobbies the Web Can Help You Start for Fun You can learn literally anything on the Internet -- and one of those might just go on to pay your bills someday. Sharpening your skills online is an open door to improving the quality of... Read More . Recreation and entertainment are essential for maintaining clarity of mind and preventing burnout. If you’re a white collar worker, you likely spend the majority of your day sitting in a chair. This can wreak havoc on your posture The Basics Of Good Office Posture: An Animated Guide The Basics Of Good Office Posture: An Animated Guide We've said it before, sitting too long kills you. Working a nine to five job in an office, sitting in a chair for 8 hours a day, while staring at a computer screen isn't exactly... Read More . If you’re frequently working with computers, there are additional risks that you need to keep in check, including computer fatigue Log Into Life: Top 9 Tips To Fight Computer Fatigue & Protect Your Health Log Into Life: Top 9 Tips To Fight Computer Fatigue & Protect Your Health Did you know that your sedentary lifestyle could be killing you from the inside out? Ryan has already presented a case on potential health risks from sitting too long, and for those of us who... Read More . A sedentary lifestyle can have a lot of negative impact on your physical and mental health. Solution: Exercise. 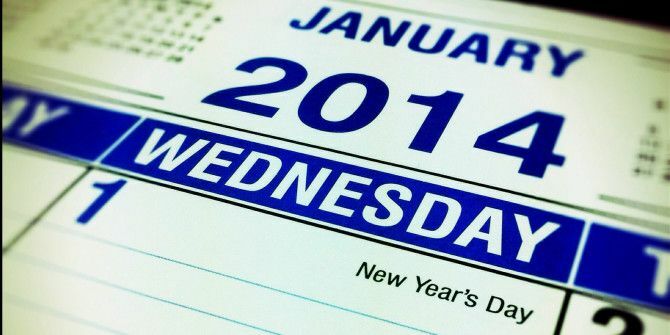 Most New Year resolutions that involve exercise start in January and tend to fizzle out by February. I believe the dreary weather is a big factor. By starting in June, you’re setting yourself up for success since you’ll already be in the habit when the next winter rolls around. Use RunKeeper Keep Track Of Your Training Goals While You Workout With RunKeeper [Android] Keep Track Of Your Training Goals While You Workout With RunKeeper [Android] Around MakeUseOf, we love finding apps and other online motivators to stay fit and healthy. After investigating these fitness apps time after time, RunKeeper always proves itself to be one of the very best. It's... Read More to track your exercise goals and check out these exercise YouTube channels 7 Best YouTube Workout Channels To Exercise at Home 7 Best YouTube Workout Channels To Exercise at Home Home gyms and personal trainers help the moneyed get up straight from their beds and hit the gym. We lesser mortals have to call on our powers of self-motivation and discipline to trudge the few... Read More for training and motivation. Since you’re here at MakeUseOf, I assume you use the Internet on a regular basis. That means you understand how distracting it can be with all of the social networks, community forums, and news websites that vie 24/7 for your attention. You could open Facebook and lose an hour of your life in the blink of an eye. What a productivity killer. Solution: There are browser plugins that will help you fend off such distractions by limiting the sites you can visit according to the time of day. StayFocusd Stay Focused With StayFocusd For Google Chrome And Say Goodbye To Distractions Stay Focused With StayFocusd For Google Chrome And Say Goodbye To Distractions The Internet is a vast place, with loads of information that can often be overwhelming. It would be an understatement to say that it’s the primary resource for research and getting work done. But don’t... Read More is great for Chrome while LeechBlock Distracted By Time-Wasting Websites? LeechBlock For Firefox Will Take Care of That Distracted By Time-Wasting Websites? LeechBlock For Firefox Will Take Care of That Read More is great for Firefox. It only takes a few minutes to set up and you’ll earn back a lot of lost time in the end. Smartphone addiction Are You Addicted To Your Smartphone? Are You Addicted To Your Smartphone? At one time, landlines and payphones were all we had--and we survived just fine, thank you very much. But now, it’s almost laughable if you don’t own an iPhone or Android, and for some of... Read More is a real thing. Internet addiction Take A Break From the Internet - You’ll Thank Yourself Later [Opinion] Take A Break From the Internet - You’ll Thank Yourself Later [Opinion] Oh, the Internet. One of the most world-changing inventions of the past century, perhaps even in all of human history. Never before has everything been so available in so little effort for so low a... Read More is a real thing. Video game addiction Video Game Addiction In Teens - What Is Too Much and How to Curb the Problem Video Game Addiction In Teens - What Is Too Much and How to Curb the Problem Video game addiction is a serious issue. I know this because I am an ex-video game addict. Read More is a real thing. What do these three have in common? They are all forms of novelty addiction. If you ever feel an irresistible and compulsive urge to check your phone, hop on the Internet, or play a video game, then you probably suffer from it too. Solution: The three articles linked above contain tips and steps that you can take to overcome these specific types of novelty addictions. Breaking an addiction is tough and it’ll most likely take more than one month for success. You’ll fail and fail and fail, but one day you’ll break free from novelty addiction and find that you have so much more time in your day. In addition, your mind will be clearer since it won’t constantly be seeking another dopamine fix. Is your email inbox cluttered? Perhaps you get spammed constantly. Maybe you feel overwhelmed by the dozens, hundreds, or thousands of emails that you need to address every day. If you dread opening up your email then you may suffer from poor email management, which is an issue that can sneakily drain a lot of your time. Solution: Learn to email like a pro How To Email Like A Pro How To Email Like A Pro There are a lot of factors that play into email efficiency – not just writing the emails, but setting up the inbox, managing emails, knowing when to check emails, and more. Boosting email efficiency means... Read More using tools like Gmail’s Filters 5 Gmail Filters to Help Prioritize & Organize Your Inbox 5 Gmail Filters to Help Prioritize & Organize Your Inbox What filters should each and every person have in their arsenal so that their inbox is as orderly as mine? I'm here to help you get started in setting up your first five filters, or... Read More and Canned Responses Email Faster & Better With Canned Responses Email Faster & Better With Canned Responses Don’t have time to cook lunch? No problem, grab a can. Need some camping chow that won’t go bad? Easy, get some canned food. Tired of typing the same email replies? Try canned emails! Think... Read More . Make sure your inbox is cleared at the end of the day. Move tasks to your notes or to-do lists if you must. Also, turn off email notifications and only check on your email at certain times of the day, e.g. in the morning, during lunch, and after dinner. By now it’s November and you’ve probably collected a lot of clutter on your computer over the course of the year. Clutter is bad for productivity since it increases the time it takes to find files and folders. It can also slow down your computer and make you run out of hard drive space. Plus, clutter just isn’t that great for clarity. Solution: Use a tool to delete duplicate files Delete Duplicate Files Quickly With These Tools Delete Duplicate Files Quickly With These Tools One of the fastest ways to clog up your hard drive is to store duplicate files. Most of the time, you probably aren’t even aware that you have duplicate files. They come from a variety... Read More and free up space 6 Ways to Free Up Space on Your Windows Computer 6 Ways to Free Up Space on Your Windows Computer Clutter can be a big downer on productivity. Over time, files get lost, programs go unused, and suddenly, your once spacious hard drive is packed with useless things and you have to clean it up.... Read More on your computer. Everything Portable Everything Makes File Searching Instant On Your PC Portable Everything Makes File Searching Instant On Your PC Read More is a lightning fast alternative to Windows desktop search What Are the Fastest Tools for Windows Desktop Search? What Are the Fastest Tools for Windows Desktop Search? Search is one of the digital tools we take for granted and heavily rely on. Fortunately, Windows comes with a handy search feature. Could third-party tools be better and faster? We made the test. Read More which allows you to search and find files and folders in an instant. And, of course, a bit of elbow grease to manually organize your folders can go a long way. As we near the end of the year, you’ve already built up an impressive list of new habits that positively impact your productivity. In fact, you’d be a happy productivity machine if you applied January through November to your everyday life. The last bit of time that you can save in your daily routine comes from efficiently keeping up with news sites. Solution: Use an RSS reader. For those who don’t know, check out our quick RSS guide. With the discontinuation of Google Reader and the controversies surrounding Feedly Feedly Was Stealing Your Content -- Here's the Story, And Their Code Feedly Was Stealing Your Content -- Here's the Story, And Their Code Last week, Feedly rolled out a controversial new "feature" -- hijacking feed links. Here's the full story of why people are angry, and how one blogger helped to right the situation. Read More , I’d highly recommend Digg Reader Digg Reader Is A Beautifully Minimal Alternative To Feedly Digg Reader Is A Beautifully Minimal Alternative To Feedly Digg launched a reader in June following the shutdown of Google Reader. Digg Reader is a slick, minimal reader that puts the focus where it should be -- on the articles you want to read. Read More , AOL Reader AOL Reader: Feedly Competitor Or A Google Reader Alternative Runner Up? AOL Reader: Feedly Competitor Or A Google Reader Alternative Runner Up? Like a phoenix, Google Reader’s death led to its resurrection. After its death, half-a-dozen alternatives arose from Google Reader's ashes – some of which barely work. Others, however, eclipse even Google Reader’s functionality. One such... Read More , or an Android RSS app RSS And Beyond: The Top 5 Android News Reader Apps For Free RSS And Beyond: The Top 5 Android News Reader Apps For Free RSS, which means Really Simple Syndication or Rich Site Summary depending on who you ask, is a popular way to receive news updates from your favorite websites. You can pick and choose which updates you... Read More for portability. You have an entire year ahead of you. Even if you internalize only a few of these habits into your life, you will see a noticeable improvement to your productivity. Let us know in the comments if you have any other (good) habits that have helped you with being more productive. Great tips, thanks. I take exercise very seriously (I started before I read the article through:) ) and I find that even if I jog 3 miles or so I still work more productively at the office than without that effort. I have a tip of my own: use time or task management software, like Wrike, Liquid Planner or Easy Projects. It can really change your mindset about planning and managing things, putting everything in order. I say this from my own experience. Thanks for the great tips Joel, especially #4 about note taking! As we were collecting a set of productivity proverbs, we found that you’re 33% more likely to achieve your goals if you write them down (http://www.wrike.com/blog/03/13/2014/10-Encouraging-Productivity-Proverbs-Your-Office-Wall-Part-2). It’s a simple tip, but I've found it to be really effective! Awesome recommendations. Particularly like the one about recharging, by doing something outside of work. Hi, A great way to start getting things done and building habits is using HabitRPG. It gamifies life. There are moms, students, business owners, ememployees and many people all over the world using habitrpg.com. We have a great community that is helpful and fun. You can even schedule that 5 min get away time each morning or night. Those of us in the southern hemisphere (G'day mate) might wish to undertake the list staggered by 6 months. Starting with July's activities in January. They seem better suited to warmer weather. Appreciate everything this article had to say~ I am considered by many to be very organized in my day to day work/personnel life, however, I find that even though I may come by this naturally the intense bombardment of social media and information overload is distracting, enlightening, annoying, intriguing, frustrating, entertaining and overwhelming. I find as I age I am less productive in attempting to manage and not be distracted by the "communication clutter". Thanks for providing a fresh perspective on the new year. How times have changed....I never had to consider this 20, or even 10 years ago. Cheers for Fab '14. Whoever wrote this doesn't have children and a commute. I suspect the majority of your readers do. This sentence for example is laugh-out-loud funny: "take time to pamper yourself for at least an hour every night". Any parent with a full-time job might be lucky to find an hour a month for "pampering". If you can't find an hour a day to relax from the burdens of your daily routine, then your productivity will take a hit. That's all. Obviously not everyone can fulfill all 12 changes in the article (those with physical disabilities most likely can't exercise, for example). As a dad, I can say that taking time for yourself starts small. When the kids are babies and toddlers, yep, 5 minutes is an eternity of 'alone time'. But as they get a little older, you can teach them to be a little more independent and to respect boundaries. By the time they're school age, you could be able to have them in bed and settled with an hour or two before your own bedtime. Even setting aside 30 minutes of that time for hot bath, or a Facebook gaming session can really recharge your spirits. Like anything else, you have to work up to it. But you can do it! Ever since computers became household appliances, the term multi-tasking leaked into our vocabulary. We think that because computers can multitask, so can we. Well, neither case is true. A computer can only do one thing at a time. However, it does them so fast it appears like it's doing them simultaneously to us sluggish humans. The thing that it does one-at-a-time is rather simple too. An oversimplification of what it is doing is choosing whether to issue a 1 or a 0. That's it. We try to do incredible complex tasks at the same time. Make supper, feed the dog, and call the gas company about the bill. It just doesn't work. If you did those things sequentially, I suspect that you would find that the total time spent is less than trying to do them all at once. By doing them one at a time, the quality of what you're doing will improve, and the need to fix things goes down dramatically. Accuracy IS speed. Of course it will be difficult for a lot of people to find the time. and if, in trying to find an hour, you end up with only five or ten minutes to devote to this, it will still be time well spent. A general point for the site, prompted by Jan's "listen to Pandora": you have many international readers (I am one of them). Pandora is a local station (US and Canada as far as I can see, but certainly not Europe). As a global site, it is worth being aware which services are (pretty) global and which aren't. Spotify might have been a more relevant source for more readers. Sometimes a US-only service might be the only way of making a point, but not always. I really enjoy your site, this isn't a complaint, just drawing attention to what might be a blind spot. Another alternative for non-US readers is Last.fm. Thanks for pointing that out. I try to keep an international audience in mind when I write but sometimes I forget that a service isn't available everywhere. Spotify is definitely a nice alternative. Songza and Jango (pretty sure these are international) are good too.